Even though love is in the air for Valentine's week, the mood is somber at a Freeman's Flowers and gifts after the loss of their owner. 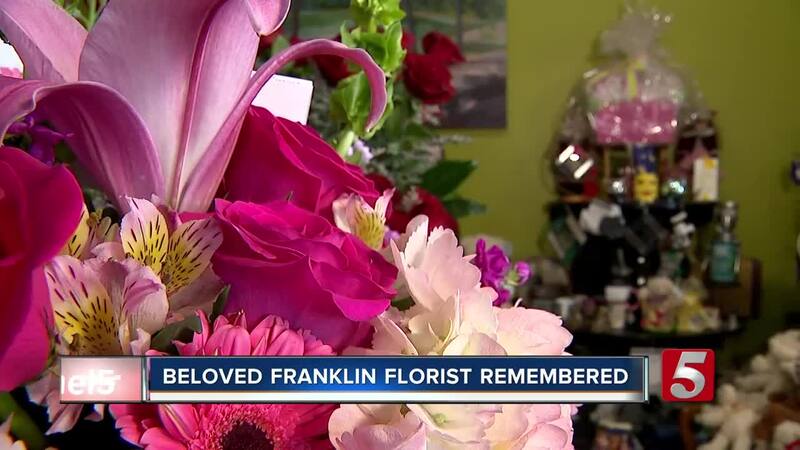 FRANKLIN, Tenn. (WTVF) — Even though love is in the air for Valentine's week, the mood is somber at Freeman's Flowers and Gifts after the loss of their owner. 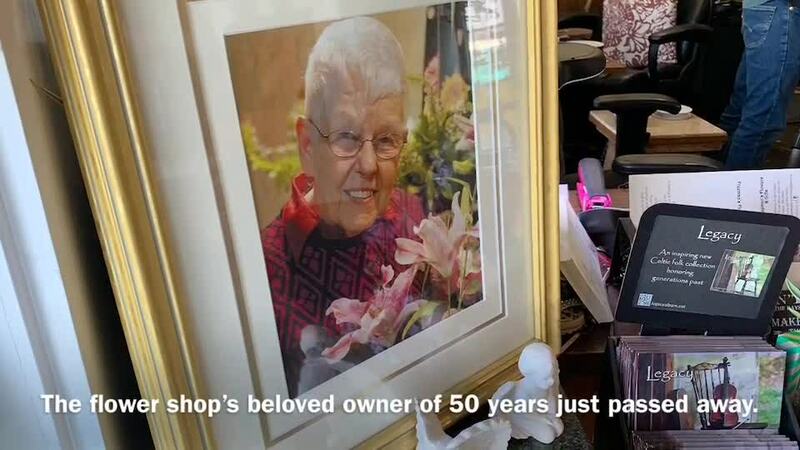 Betty Freeman, who recently passed away, owned the shop for 50 years. Customers and family said her memory will live on forever through the shop's flower arrangements. On Wednesday Freeman's granddaughter was busy preparing for the holiday. Shea Freeman said, "I think it's controlled chaos." At Freeman's Flowers and Gifts, family recounted memories of their loved one. Freeman said, "My father used to send her flowers from a competing flower shop for anniversaries and Valentine's day so it was always a kind of funny little thing." Shea has taken over the family business. "It really hit me yesterday a few times and that she's not here," Freeman said. She couldn't hold back the tears as she carried on her grandmother's legacy. Customers, friends, and neighbors stopped by the store to express their condolences. Adelaide Hartung said, "I wanted to come and tell the family that I was so sorry for their loss." Hartung was Mrs. Betty's neighbor and they both loved flowers. Hartung said, "I've said before, if it weren't for flowers I probably wouldn't be alive." The flower shop has changed names, but it's been owned by two families since the 1850's. Freeman said, "We had people who would call in and they would only speak to her, no one else could help them, no one could make anything like Mrs. Betty could." The flower shop used to be located at Puckett's Boat House in downtown Franklin. At one time, they had the only greenhouse south of the Ohio River. Freeman said, "She's touched so many lives over the years."